Located about 60 miles east of Los Angeles, Riverside sits along the Santa Ana River. The largest city in the Inland Empire metropolitan area of California, Riverside houses roughly 320,000 residents. From new and historic homes to condominiums and gated mansions, homeowners enjoy a wide variety of residential choices in Riverside, and many install fencing to enhance privacy during warm-weather outdoor living. 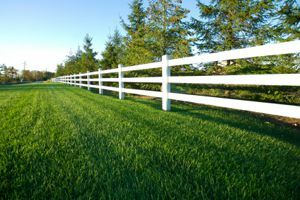 Whether customers desire chain link or concrete, wood or wrought iron, local companies supply the parts and labor needed for a well-constructed fence. Neighborhoods in Riverside offer unique attractions and environments to suit various needs and tastes. While many residents choose a neighborhood for its quality of schools, others look for a community with plenty of green space. Geographically speaking, Arlington Heights is the largest neighborhood in Riverside. People who appreciate space enjoy this agriculture-inspired area, as many of the residential lots here span five acres or more. A highlight of the neighborhood, Victoria Avenue, showcases stunning scenic views. Eucalyptus and palm trees, vibrant foliage, and colorful floral displays line this picturesque street listed on the National Register of Historic Places. Situated behind the University of California Riverside campus, this large residential neighborhood features architecture constructed from the 1960s to the 1980s. People who live near the university enjoy all it has to offer, including a vibrant commercial center, entertainment events, dining opportunities, and large sections of farmland. A newer Riverside neighborhood adjacent to Sycamore Canyon Wilderness Park, Mission Grove offers a blend of single-family residences, apartments, condominiums, and retail and office buildings. Homes located near the park feature spectacular natural and cityscape views, and families living in Mission Grove benefit from a number of excellent schools and public facilities. One of the city's most desirable neighborhoods, Orangecrest features a host of modern public and private schools and shopping centers. Parks and public facilities in the community also make it a popular place to settle. Spanning 30 acres, Orange Terrace Community Park features a large community center measuring 24,000 square feet and a full-service library. Scenic undeveloped acreage in the La Sierra Hills neighborhood makes it a popular choice for nature lovers, and families enjoy a variety of excellent schools and parks. Part of the master plan proposed by the city's Parks and Recreation Department involves a trail connecting La Sierra Park on the neighborhood's southern border to the Santa Ana River Parkway, a 100-mile trail in development stages. When thinking about installing a fence in Riverside, homeowners need to consider the amount of space involved and the type of fence desired. The table below illustrates the average price per foot for various types of fencing. Fencing companies in Riverside supply customers with all of these types of fencing materials. Homeowners should get a minimum of three quotes from contractors to obtain the best possible pricing for their project. Home improvement contractors in California are required to take and pass an examination for C-13 licensing to become fencing contractors. A licensing fee of $180 covers the business for two years, and contractors must file a bond of $15,000 with the State License Board. Contractors must maintain general liability insurance to cover bodily injury, personal injury, and property damage. Riverside Fence Contractors are rated 4.79 out of 5 based on 903 reviews of 27 pros. Not Looking for Fences Contractors in Riverside, CA?